Wellcome to my little tutorial! 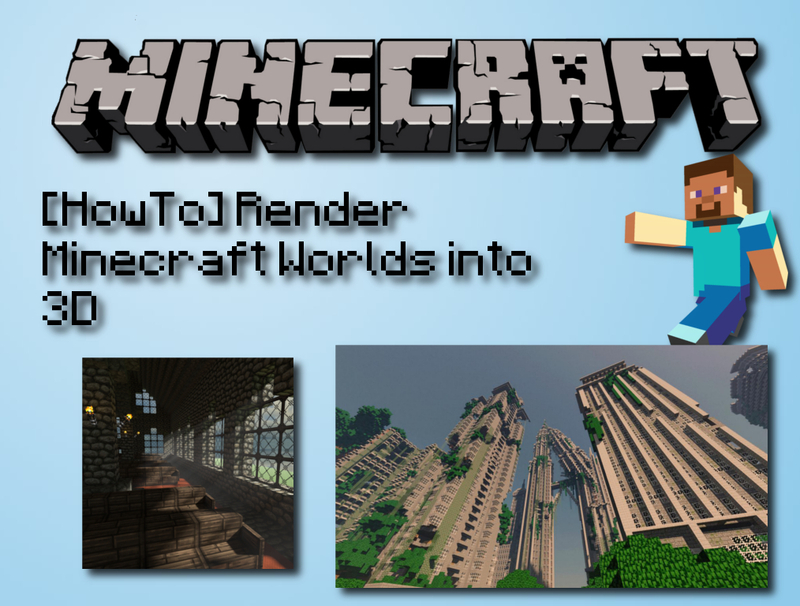 I going to show you, how to render a 3D image of your Minecraft World. We will use the Tool "Chunky", which is an all in one Tool, so we need no other programms. But, before we begin, please excuse my English, I'm an austrien Crafter and I tried my best! A Minecraft World to Render. After you dowloaded Chunky, use WinRar or a other Zip programm to unpack it. Then start Chunky.bat or Chunky.dmg if you're a Mac User. The left side shows the map in a top down view. But I think that's clear. And on the right side we find the settings. To start, click on "Select World" and open your World. Then click on "View", and chosse by "Map View" "Surface" and by "Dimenson" the typ you want. Now you have to select Chunks. 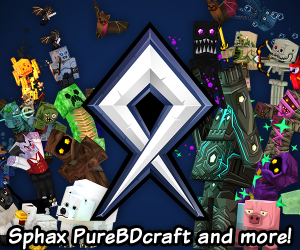 All selected Chunks will be rendert, so be sure you choose all you need. To choose Chunks, just hold shift and click with your mouse on the map on the right side. All selected Chunks will be marked red. Now click on "3D Render" and "New Scene" and choose the direction where you want the render it. Then name the 3D Scene. The right window is a preview of your image and the left side show you all settings. First, we will change the size of the end image. "Canvas width" and "Canvas height" are 400 by default, this means the end image will be 400x400. For example, we will change in to 1200x800. Then click on "Set Canvas Size"
Now you have to choose the position you want to render. Notice: The Preview shows exactly what you will see on the end image. To move in the position you want, click into the right window, move with your mouse and your keyboard buttons "W""S""A""D" until you see what you want. Gamma correction should always be enabled. "Still water" and "Clear water" are only important, if you have watewr on your image. If you enable "Still water", then Chunky wont render little waves and if you enable "Clear water", the water will be transparent. Biome colour only if you want. Important is the last one. If you have a powerfull PC / Mac, set frame on 500, but if you have a old / bad PC / Mac, set it on 100 or 50. Here you can experiment until you like the result. Depending on your flavor. NOTE: If you want glowing Glowstone and torches, put "Ermitter intensity" to the max! Very important is the "Load Skymap" feature. Here you can use every image you want. This image will replace the normal "Minecraft Sky". "Unload Skymap" will delete the image and restore the normal "Minecraft Sky". You can find some nice ones here! "Atmosphere will add a weak fog to the image and volumetric fog will add a strong fog to the image. Here you can experiment too. If your world is under water, you need to enable "Water World Mode". So, now we come to "Camera"
If you already move the camera with mouse and keyboard, don't klick on one of the first two buttons! The rest is to experiment again. Good, after we set everything up, we will render a image. Click on "Start" and Chunky will start rendering your image. This could take only a few minutes, or up to 5 hours. You can always save the image by clicking on "Save Current Frame". Notice! If you move the camera or chance anything, the rendering will restart!. Well, thats all! Now you can use Gimp or Photoshop or whatever to edit your image! Credit Thx to Jesper Öqvist for this awesome tool! I can't run this Chunky thing at all. I tried updating Java and adding the java.exe path to the chunky.bat. Either doesn't help, DOS window pops out and then it closes itself in the moment. I'm on W7, any suggestions, guys? Don't touch the Chunky.bat! After installation open the "Chunky launcher"
What is the SSP target? I see it is default 1000. Should that be higher or lower? Can someone explain its purpose? oh thank you soo much for this nice tutorial SUB, DIAMOND and FAVOURITE for YOU!!!!!! Can you add instructions for Linux? How did you get the lights coming out of your window in your final picture? No way! Will? you did this?! Thank you this will help!! Why didn't you get the third place????? He's explaining how to use the program to make awesome minecraft pics. This is a tutoriall and not a mod ir programm so it's ok. I get noise on the final image from the lighting, is this normal? Figured it out, the emitters were numerous (glowstone blocks) so there was a lot of noise which would've required a lot more rendering time! thanks! Sry, the creator updated the tool and the old link is broken and I can't change the link until the contest is over. Whats the settings for the last pic? cause 1. it looks awesome! 2.i need a few like that for one of my projects! There is allready an answer for this problem. Search the comments for it. Try to click on "Camera to Player" in the Camera settings. It is directly from the Minecraft formus. Your link is broken because this is a newer version. Yes, I think so. Thats why I love it! Thank you so much sir. I just used this for my new project, if you like, just check it out. The renderings became really fascinating.